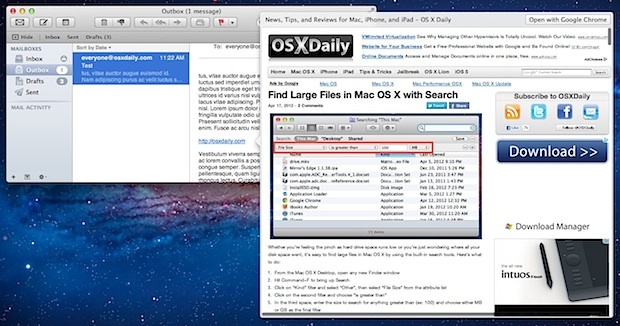 Use Mail app in Mac OS X to handle your email? 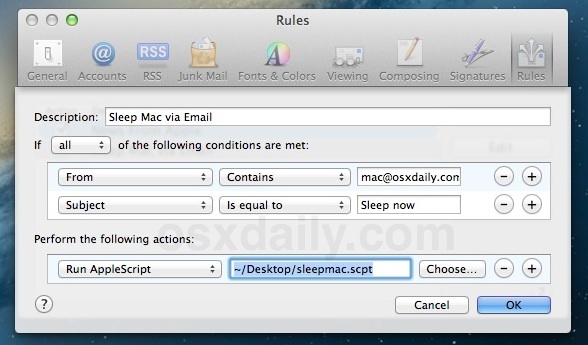 Then this collection of some of the best tips you’ll find for Mail app in OS X is for you. We’ll cover some of the greatest tricks out there, including how to get new mail faster, see more messages at once, send attachments faster, trashing spam automatically, using VIP, previewing websites without opening them, speeding up mail app, and even a great trick to remotely sleep a Mac with an email sent from your iPhone. Let’s get started and make the Mac Mail app even better! Checking for new email every minute is pretty aggressive and if you’re working with or relying on time-sensitive messages it can make a big difference. If you’re wanting to get emails faster while on the go, you can do the same on iPhone as well. 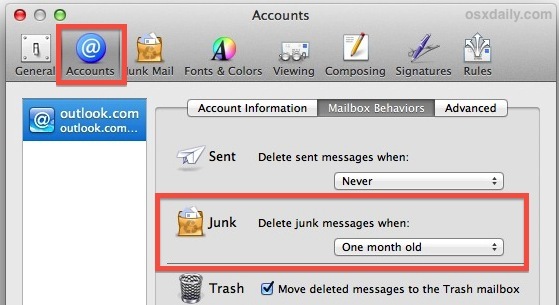 The Mac Mail app defaults to holding onto all email that is deemed as “junk”, it will never delete itself. While that certainly errs on the safer side, particularly considering there are sometimes false-positives for spam and junk mail, if you get a lot of junk mail then you’ll discover that folder can become huge. A good alternative is to set the Junk folder to automatically trash itself after its contents are a month old. This gives you plenty of time to check through the folder for anything inappropriately flagged, while helping to keep the Mail app tidy. You can set automatic trashing of junk and spam to a faster setting, but a month provides a good amount of leniency, and if you’ve ever accidentally deleted a very important email then you’ll probably appreciate the less aggressive option. You can even take this further and setup VIP notifications along with the lists, which makes it so Mail will only bother you if messages have come in from those on the VIP list. To remove someone from the VIP section, just click that star again and the sender will become normal again. Toggling VIP on and off for particular people for specific conversations is also a good strategy. Using this URL preview feature keeps the website from appearing in any sort of standard web browsing history or caches, and can be really useful if you’re unsure whether a particular message is SFW or NSFW. Want to send a file or group of files as an attachment in a new email? 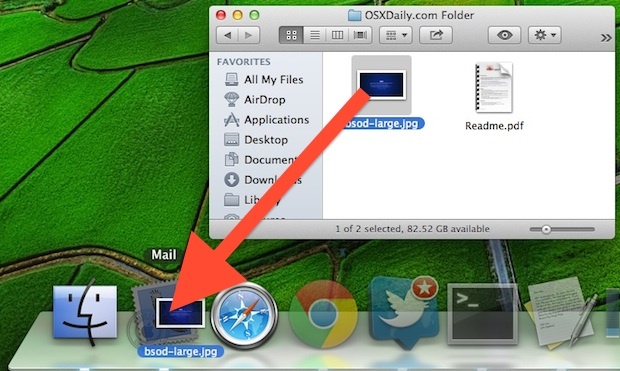 Just drag & drop it into the Mail icon to instantly create a new mail message with the file(s) as attachments. It’s that easy, and there’s nothing more to it. If dragging and dropping isn’t for you, you can also set up a keystroke to do the same thing and instantly create a new message with whatever items have been selected. This is obviously a bit beyond your standard email tricks handled entirely through Mail app, but it’s so useful that it needs to be included in this list. Do you find Mail running sluggish, especially opening emails with many attachments? You can speed it up dramatically by disabling image attachment previews, which prevents Mail from loading any attachments into the email message. Instead you’ll have an option to individually load each image on your own, and this can really speed up email viewing for older Macs. To go back to the default setting of automatic image loading, simply switch the -bool flag to ‘false’.